Al Shayan Tours & Travels is one of the leading manpower recruitment companies in India. Our company is Government of India Ministry of Labor approved. Since established in the year 2000 till date we have been serving our clients from worldwide for meeting their recruitment needs. We hold the pride that we have been successful in handling the some highly sophisticated projects with our esteemed list of clients. Our expertise is in understanding the requirements of the clients for manpower and make sure they get what they are looking for. Selecting the right candidate for the required profile is what we specialize in. As reliable manpower Recruitment Company, we not only make sure to find the appropriate candidate for the post but also ensure their attitude is suitable for the company. We use not only the general measures but also technology in sourcing the candidates to the clients. Our growth since the day of the establishment has been tremendous. We have a team of highly trained and experienced people who know everything about the manpower recruitment process. They are testing the ability and suitability of the candidates from the database of references to select the right one for the profile. Al Shayan Tours & Travels has the experience of nearly 20 years in providing full support to the clients with their recruitment needs. We offer our services to various sectors including Petrochemical, Oil and Gas industries, Mechanical industries, Construction, Rig Crew, Hotel industry, Telecom, Medical and much more. The services include everything from sourcing the candidates, selection, interview and recruitment. We perform all the activities that are involved in sourcing the candidates and sending them to the location of clients. We are committed towards providing all kinds of staffing solutions to different firms in various countries in the world. We have been able to provide our services to organizations of various sizes in places like Qatar, UAE, Kuwait, Oman, Saudi Arabia etc. The efficient services that we offer are good because of our effort in fulfilling our aim to place the right candidate in the correct profile. We use various methods to achieve this aim. Our company has a database of applicants from where our panel of experts searches right candidates. We don’t use the conventional media but use online media, provincial and agent-assisted recruitment and other means to source candidates. There are experienced and trained technical and medical evaluators at our firm who help screen the candidates using various methods. 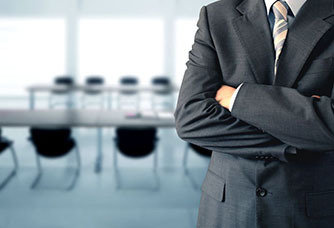 The candidates selected on the behalf of the clients are done by our company. Our team of professionals makes sure the candidates are suitable for the profile for which they are selected. Our services also include assisting the applicants with their documents and paperwork including Visa, passport etc. and also conducting medical exam for foreign travel. Al Shayan Tours & Travels have the aim of providing full satisfaction to our client for different staffing solutions. With an optimum fee, it is possible to avail our services for any kinds of recruitment needs. Our vision is to become the employers’ preferred Recruitment Company of choice based on the extent and quality of our service. We also endeavor to be the preferred platform for candidates to discover and pursue exciting careers with their ideal organizations.